Some time ago the European Union (EU) decided it was not content with the various countries in the EU freely utilising the US GPS satellites system and commenced the Galileo project to build a 30 satellite Global Navigation System (GNS) of its own. The public reason given for this huge planned expenditure is that a new, more accurate European GNS is needed, as the current US GPS is only accurate to 10 meters and the Galileo GNS will be accurate to one meter. Nevertheless, the decision to build the Galileo system is, as usual, political more than anything else and probably owes more to the predictable anti-American stance of France, than sound commercial common sense - 10 meters accuracy is sufficient precision for most current and future applications. In particular, the French have never liked the fact that the US GPS system is owned and operated by the US military and have managed to convince the other members of the EU to build a system that is complementary to the US GPS, but is controlled and owned by the EU. Not content with spending around EU1 billion of European taxpayers money on the unnecessary Galileo programme, the profligate EU Commission has now decided to also spend upwards of EU1.5 billion on a programme to build a network of spy satellites. The EU system is known as initially as the ‘Global Monitoring for Environment and Security’ (GMES), and then later re-named Kopernikus, it is planned to be operational by 2010. The corrupt-ridden EU Commission have stated that Kopernikus will play a key role in the ‘implementation, review and monitoring of EU policies, including watching for agriculture and fisheries fraud and for boosting internal security’. Of course a reconnaissance satellite programme will also support the French objective of the EU becoming a significant military power, whilst at the same time undermining NATO, as it will provide the European authorities with the further enhancements to a European Security and Defence Policy. The European Space Agency (ESA) will manage the Kopernikus reconnaissance satellites on behalf on the 15 EU States, whilst the EU Commission will identify and develop possible uses of the system. However, with so much commercial satellite imagery already freely available to the EU, in particular the French SPOT 5 satellite that offers 2.5 meter resolution, I really don’t see the need for Kopernikus at all. 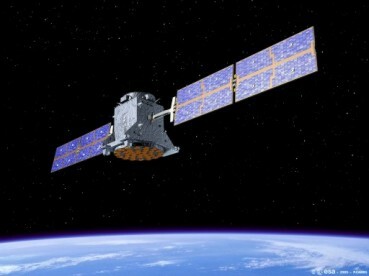 The idea that the EU Commission will use GMES to watch for agriculture and fisheries fraud is complete joke, particularly when the one of the last EU Commissioner with responsibility for tackling the rampant fraud and corruption within the EU, a useless Welsh windbag named Neil Kinnock, actually sacked two EU whistleblowers who uncovered clear evidence of fraud and corruption – so what chance a satellite will do any better? The whole Kopernikus programme is yet another example of the EU Commission, probably at the behest of the French, pouring money into a programme that has at it’s core a desire to extract the EU from its reliance on NATO as its primary defence organisation and replace it with a hotch-potch European Union alliance, doiminated, of course, by the French. On 27 Oct 05 with little or no publicity, a COSMOS 3m rocket launched from Plesetsk in Russia delivered the UK’s TopSat into 600 km polar low earth orbit. Designed by engineers from QineriQ, a UK defence research company, the TopSat was mated to the launch adapter structure on 23 Oct 05 along with some other satellites. On 25 – 26 Oct 05, after the removal of the camera aperture cover, the rocket fairing was closed and the rocket was moved to the launch pad and erected ready for the launch. TopSat is a technology demonstrator to show how a relatively small micro-satellite can still deliver responsive, high-resolution imagery of sufficient quality that it can be used for military or commercial purposes over a six month demonstration period. Despite weighting only 120kg, the TopSat can still deliver 2.5metre resolution panchromatic high resolution imagery direct to mobile or fixed ground stations in real time. Three TopSat satellites could provide daily re-visits to any point on the globe. TopSat has been funded by the British National Space Centre (BNSC), Microsatellite Applications in Collaboration (MOSAIC) and the UK Ministry of Defence. 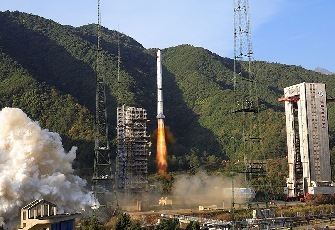 The satellite was then developed by a consortium lead by QineriQ who provided the on-board payload control, data handling and downlinking subsystems and acted as the Mission Prime. 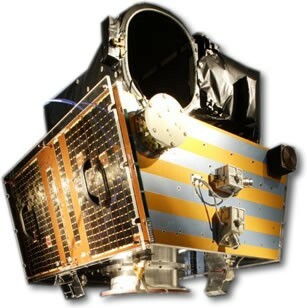 Surrey Satellite Technology (SSTL) provided the platform, the Rutherford Appleton laboratory (RAL) provided the camera and Infoterra are responsible for data exploitation. The cost of owning and operating reconnaissance satellites has always resulted in the UK relying on the US for satellite imagery. Thanks to the close working relationship established between the countries over many years, the US can usually be relied upon to deliver to the UK authorities an updated photo of a particular location in a fairly short timescale at a set price. However, in times of conflict the US will understandably divert their reconnaissance satellites to support US forces as required and the UK’s requirements have sometimes slipped to the bottom of the pile. Owning and operating a constellation of TopSat satellites would give the UK a new and very useful capability, but whether the crippled UK defence budget will ever stretch to paying for such a system remains very debateable. Data exploitation to the civil sector is probably the key to the programme being funded successfully beyond the 6 month demonstration phase. However, there are already a number of commercial companies, such as Space Imaging , DigitalGlobe and Orbimage in the US and Spot Image in France who can already provide imaging from 2.5 to 0.61 metre, so breaking into this already established market will not be easy. 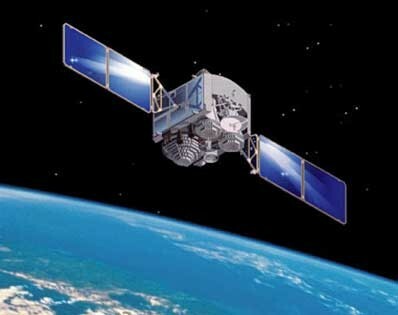 Having quietly developed and deployed the Counter Communications System (CCS), a land-based system designed to block a potential enemies satellite communications, the US Air Force (USAF) already has plans to improve the CCS, as well as develop a new system for locating enemy satellite jammers. The CCS was built by Northrop Grumman, became operational in 2004 and is housed in a transportable unit, similar in appearance to a mobile satcom terminal. 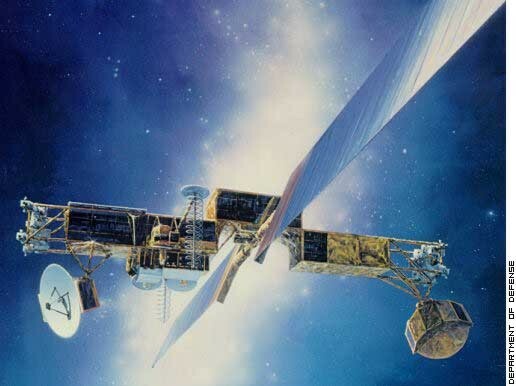 Using radio frequency interference, the CCS is designed to give theatre commanders the means to jam, but not destroy, an adversary’s communications satellites. The USAF is already planning a second generation CCS, known as CCS Block 20, which will remedy a number of deficiencies identified in the current CCS. In particular, the improvements planned for CCS Block 20 will include an increased frequency range and the ability to conduct a greater number of simultaneous jamming engagements. Current plans call for the CCS Block 20 to be built and deployed by 2009, the exact number of systems that are planned is unknown. To date the CCS is the USAF’s only publicly acknowledged system which is designed to limit an adversary’s ability to operate their space-based assets. 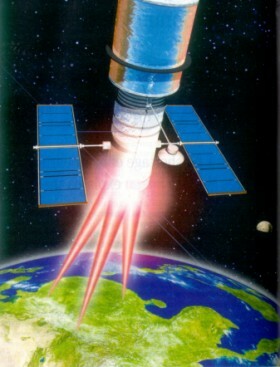 Although the CCS is designed to do non-permanent damage to other countries Satcom systems, many observers believe that the USAF still retains the ability to permanently damage or destroy satellites in low earth orbit using ground-based lasers, but refuses to publicly acknowledge the existence of this capability in this area in the hope that other countries will not feel compelled to develop similar systems. However, crippling a communications satellite in geosynchronous orbit some 23,000 miles from the earth is another matter entirely, but is feasible provided the earth-based laser has sufficient power or a lower powered laser is employed from earth orbit. Having developed their own Satcom jamming system the USAF has turned its attention to acquiring a system to locate devices that are jamming US communications systems. Under an initiative known as the Radio Frequency Awareness Theatre project, officials at the USAF Air Warefare Battlelab at Mountain Home Air Force Base are attempting to identify commercially available systems that could be used to pinpoint devices that are interfering with US communications links between satellites and ground stations. The system will need to be easily deployable, highly automated and modular and will need to be capable of being operated remotely whilst feeding its data to the services overall operational picture of space. In 2004 the USAF tested a system known as the Satellite communications Interference Response System (SIRS) that used computer equipment and two 4.5 m C-, Ku and X band transportable antennas in a Joint Expeditionary Force Experiment and the new system will build on the lessons learnt during this exercise. As countries such as Iran make plans to acquire communications and reconnaissance satellites, the USAF has recognised that these systems are legitimate targets for attack in any potential conflict. However, once an overt sitcom jamming capability is acquired, surely the next logical step is the development of a covert capability and some individuals within the current US administration might consider this an acceptable and legitimate weapon in the global fight against international terrorism. Whatever happens the USAF counterspace mission is likely to be an area of the defence vote that will continue to attract additional funding and increased capabilities, only some of which may actually be acknowledged. 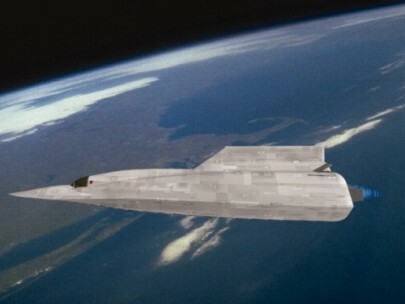 In March 2006 Aviation Week & Space Technology (AW&ST) carried a report by William B Scott about the retirement of a top-secret re-usable spaceplane named ‘Blackstar’, that was widely reported in various aviation magazines and websites. The report described how in the 1980’s, under a highly classified ‘black’ programme, the US had developed a ‘two-stage-to-orbit’ system that could place a small military spaceplane in low-earth orbit. The system was reported as comprising a large ‘carrier’ aircraft, modelled on the XB-70 Valkyrie supersonic bomber, known as the SR-3 and a small, highly swept-wing, two-man spaceplane known as the XOV. The SR-3, supposedly carrying the XOV conformally underneath its fuselage, could take-off conventionally and was capable of accelerating to something around Mach 3 at around 100,000ft, and then it would release the spaceplane that would fire its own rocket engine and rise up into low-earth orbit. The SR-3 would return to base and land conventionally and, after completing its mission, the XOV would re-enter the atmosphere and return to earth much like the space shuttle, gliding down for a conventional landing. It was reported that the ‘Blackstar’ system enabled the US to conduct surprise reconnaissance of foreign military activities that were usually hidden from regularly scheduled reconnaissance-satellite overflights and could also be used for satellite insertion and possibly even weapons delivery. The XOV was apparently moved around in one of two specially modified C-5C Galaxy aircraft. Unfortunately, AW&ST in general and William B Scott in particular, have a long track record of bogus articles in which a previously unheard of ‘black’ programme is revealed for the first time in an exclusive article. This trend started way back in 1957 when AW&ST revealed the existence of a Soviet nuclear powered bomber with the ability to remain airborne for days at a time and almost unlimited range. The truth that eventually emerged was that the actual aircraft itself, the Myashischev M-59, was entirely conventional and possessed such poor performance that it never went into full scale production. Then in the 1990s Scott wrote a number of articles in AW&ST about top-secret aircraft that had been developed under ‘black’ programmes. These included articles about a hypersonic bomber capable of carrying nuclear warheads in vertical ejection racks, the triangular TR-3 Manta that supported F-117 Nighthawk operations and of course the enigmatic Aurora hypersonic spyplane. The only consistent factor over all the years these articles have appeared is that not one genuine photograph of the aircraft has ever appeared and not one of these aircraft has been de-classified and revealed. Consequently, many observers have come to regard many of these AW&ST articles as a mixture of government or corporate disinformation or just flights of fancy designed to boost the magazines circulation. 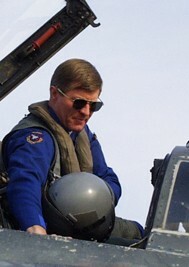 Nevertheless, there have also been occasions when an article in AW&ST has revealed for the first time a previously classified programme, such as the Have Blue programme that eventually lead to the F-117 stealth fighter, the Northrop Tacit Blue programme and Boeing’s Bird of Prey proof of concept vehicle – so sometimes they do also tell the truth. Since the Blackstar article appeared in AW&ST, a whole series of articles written by informed and knowledgeable individuals have appeared on various Internet sites that examine the details William B Scott provides and without exception come to the same conclusion – the report is almost certainly bogus. So without prejudice to what’s already been written, in this article I’ll review some of the claims and draw my own conclusions. Over the past a number of years various separate reports were made by a variety of people that had sighted a large, delta-winged aircraft, similar in size and appearance to the cancelled XB-70 Valkyrie bomber, in the south-west of the USA. Some reports even came up with a name for this particular aircraft – Brilliant Buzzard or Blue Eyes, although it has never been determined exactly where these names came from or whether someone simply made them up to add an air of authenticity to the sightings. 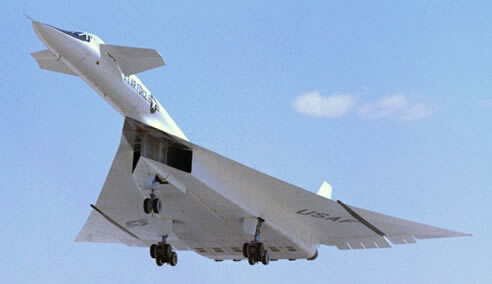 However, what is beyond dispute is that although the XB-70 was cancelled back in the mid-1960s, the technology behind the programme had by that stage been effectively proved and the aircraft had demonstrated the ability to cruise at Mach 3 at around 70,000ft. There were certainly some flaws in the original design, particularly with the hydraulic systems and wing hinges, but this was nothing unusual for such a highly advanced design and there’s little doubt that these problems could have easily been overcome with sufficient investment and testing. In the event, only two XB-70s were ever built, 62-001 & 62-207, and the first is in the USAF Museum and the second and most advanced aircraft was destroyed in a mid-air collision. Construction had actually started on a third XB-70 prototype that would have been much closer to the final production design when the prototype test programme was cancelled in 1964. To keep the B-70 program alive, proposals were made to equip this third aircraft with even more extensive research capabilities than the earlier prototypes had received. These included plans to use the aircraft as a high-altitude astronomical observatory, a recoverable first stage booster for launching payloads into orbit, a platform for launching anti-satellite weapons, a high-altitude communications relay, a high-speed propulsion test craft, and a vehicle to test methods of reducing radar cross section. Although construction of this aircraft was well underway, it was cancelled prior to completion – so what happened to it and had other components already been ordered for follow-on aircraft? 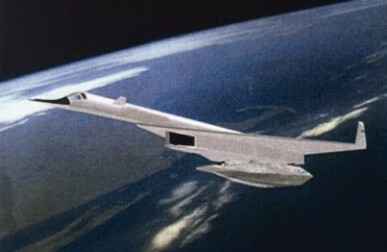 In reality I suspect that the partially completed XB-70 was actually broken up for scrap, furthermore, as the production programme was cancelled in 1961, and future plans had never really progressed that much beyond the prototype stage, I think it highly unlikely that North American would have committed itself to the huge risk of ordering additional components in the hope of possibly securing a future order – it just doesn’t make commercial sense. 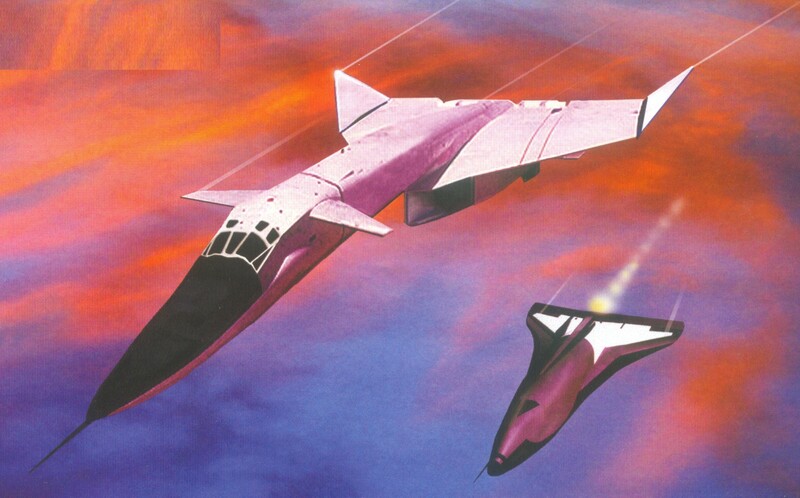 I also believe that there is very little likelihood of a major US defence contractor deciding to use 1960’s technology in a highly advanced Mach 3 aircraft in the 1990’s – it just doesn’t make sense. 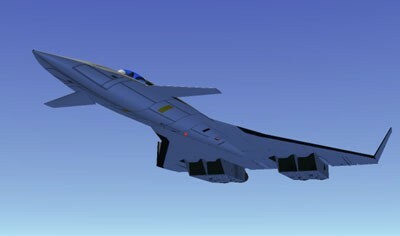 Aviation technology has made such huge advances over the intervening 30 years, particularly in avionics and engine design, that these would be simply negated by operating such an old design as the XB-70, unless it was completely rebuilt, in which case it would be easier to simply start again from scratch. Furthermore, you couldn't carry anything sizable resessed underneath the XB-70 centreline - that's where the engines are located. Nevertheless, the basic XB-70 design had been proven by the test programme, particularly the use of compression lift created by trapping the airflow below the fuselage by lowering the wing tips. . Therefore, if during the 1980’s a US contractor was awarded a contract under a ‘black’ programme to investigate the possibility of developing mothership/spaceplane combination, the basic XB-70 design would almost certainly have been the obvious starting point. 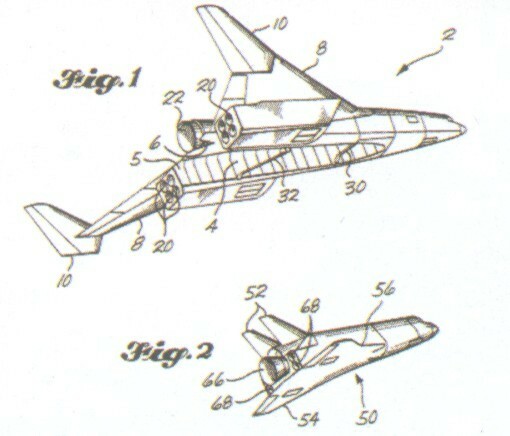 With this in mind, perhaps there is some significance in Boeing filing patent design 4.802.639 in Oct 1986 for a spaceplane/mothership combination, even if it only bears a passing resemblance to the XB-70? However, unless the US has made a remarkable breakthrough in engine and fuel technology, or the XOV actually carries a couple of expendable rockets, the main reason why the whole Blackstar article appears bogus is basic orbital physics. Every study to date has determined that a launch at Mach 3 and 100,000ft just won’t reduce the ~90% fuel fraction needed for a ground launched SSTO system by enough for it to achieve Mach 25 and 300nm low earth orbit. Even if the Blackstar system existed, I can’t really see why it would be used to launch a small satellite, particularly when commercial systems such as the Pegasus and Minotaur are readily available. The US has already deployed and operated at least two small stealth satellites that can manoeuvre in orbit and hide themselves alongside orbiting ‘space junk’ as well as deploying countermeasures to prevent detection by optical or radar tracking systems. These satellites, known as 'Misty', have almost certainly overflown areas of interest undetected in advance by the country targeted and allowing them no time to hide activities of interest. For this reason I cannot see much advantage in a Blackstar system for ‘surprise’ overflights of denied areas. 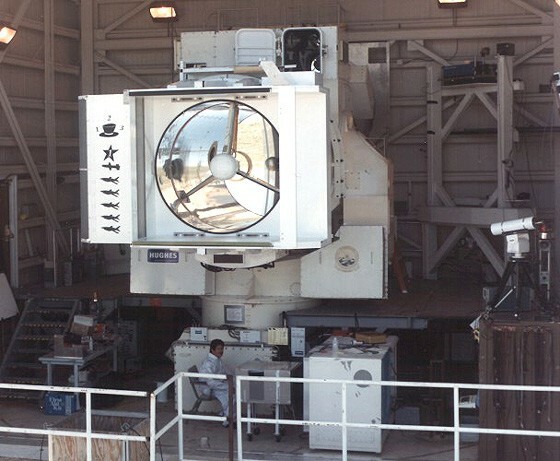 Unless the US have developed a very effective system for masking the hot exhaust plumes of the XOV, early warning satellites would easily pick up the XOV as it climbed into low earth orbit, allow its orbital parameters to be predicted, and give sufficient time for sensitive items to be hidden or deception measures to be put into place. The article in AW&ST also mentions the existence of two specially modified C-5 Galaxy transport aircraft that were used to ferry the XOV around. Unfortunately the serial numbers quoted do not exist and as all the C-5 Galaxy produced can be accounted for, there is little doubt that the author is simply in error. 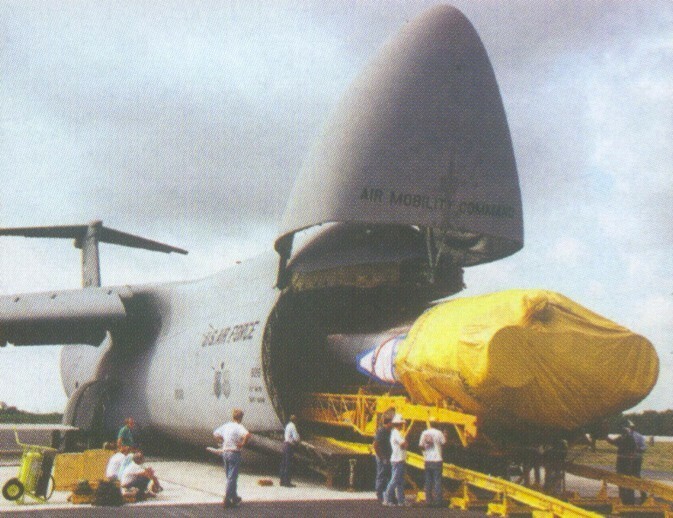 Two Galaxy aircraft, 68-0213 and 68-0216, were specially modified into C-5C Space Cargo Modified (SCM) aircraft which enabled them to carry various outsize payloads and satellites in a large Space Container Transportation System (STCS) that could just be squeezed inside the modified fuselage, so Bill Scott appears to have confused the well-known activities undertaken by these aircraft, with ‘black’ activity in support of his Blackstar system. In summary, like many others, I simply do not believe the broad detail of the AW&ST article. Nevertheless, what is beyond dispute is that between 1990 – 1992 a series of sonic booms were tracked across Southern California by independant observers, usually in the early hours of the morning, heading in the direction of Nevada where Area 51 is located. The sonic booms were calculated to have been produced by an aircraft flying above Mach 3 and higher than 100,000ft. It was later proved beyond doubt that neither the Space Shuttle or any SR-71’s were airborne at the time – so some unidentified, unknown, very fast, high flying aircraft was certainly out there 15 years ago and if so why were the sonic booms not heard after 1992? Why did the aircraft that was producing these sonic booms suddenly disappear? The one thing all observers of US black programmes seem to agree on is that the US has developed and operated a whole series of very high performance aircraft over the last 30 years that have yet to be revealed; however, I also believe that currently there is insufficient evidence to support the existence of a Blackstar system, as described in the AW&ST article. Hopefully, the truth will eventually emerge but, if the system did exist, it’s existence will only be confirmed when the technology behind it has been superseded by something even more advanced. In the meantime, I think I’ll settle on giving the reported Blackstar system a verdict used under the Scottish legal system – ‘not proven’. During the Cold War the USA established and maintained a lead over the USSR and every other country in the use of photo-reconnaissance and ELINT satellites, deploying a whole series of increasingly sophisticated vehicles from low earth to geosynchronous orbit, which kept their intelligences service furnished with vast amounts of data from behind the Iron Curtain and elsewhere. 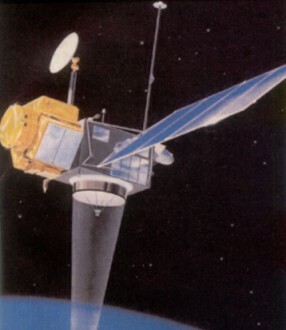 The end of the Cold War had little effect on this on-going programme of intelligence gathering, instead the ‘Peace Dividend’ cutbacks that took place in the 1990’s and advances in technology, resulted in the National Reconnaissance Office (NRO) and the National Security Agency (NSA) placing an increased reliance on satellites derived intelligence. However, US satellites are launched in full view of the public, and initially follow a clearly visible track, allowing their orbital elements to be easily predicted. Indeed, there is a worldwide network of amateur astronomers who use stopwatches, sky maps, personal computers and telescopes or binoculars to calculate and then at dusk observe and report on the position of satellites in low earth orbit. US intelligence gathering satellites are regarded by this amateur community as a special challenge and they frequently mount systematic efforts to detect their orbital elements, which then allow them to take an educated guess at the classified payload onboard. One of these groups maintains a weekly updated list of the last observed position of the various KN-11/12 ‘Advanced Keyhole’ photo-reconnaissance and Lacrosse radar imaging satellites on an internet bulletin board, which can be easily accessed by foreign intelligence agencies. 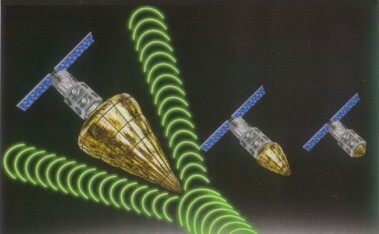 Nevertheless, any country with an established economy and a decent military infrastructure that wishes to track over-flying satellites will probably have invested in a large phased-array radar or a system that uses a series of powerful radio transmitters to radiate fan-shaped beams into space and separate receivers to detect the echo of a satellite as it passes through the beams. Over the past 10 years, in tandem with a booming economy, China’s military forces have undergone considerable improvement and, overtly and sometimes covertly, they have adopted an increasingly more belligerent attitude towards Taiwan and its guarantor of military security – the USA. It has recently been revealed that China has secretly fired a powerful laser at overflying US spy satellites, with the various Keyhole satellites coming under attack several times in recent years. Exactly what China is aiming to achieve by this activity is difficult to determine, but the general consensus is that the Chinese are simply demonstrating to the US that they have the capability to track and either blind or even destroy over-flying satellites. 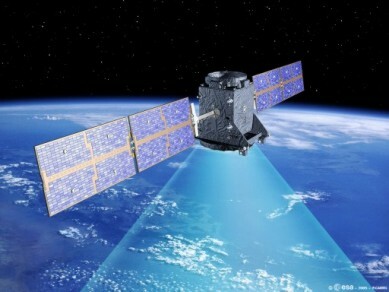 A vast amount of power is required to shoot a laser beam through the earth’s dense lower atmosphere, whilst retaining sufficient energy to ‘blind’ an over-flying satellite, in addition, the laser also has to be linked a sophisticated tracking system capable of continuously pointing the laser in the right direction – no mean undertaking. These incidents are further evidence that, whilst for economic and geo-political reasons China wants to avoid direct confrontation with the USA, it has adopted military strategy of asymmetric confrontation. As part of this overall strategy, China has outlined a series of capabilities, referred to as ‘Assassins Mace’, and which aims to keep US forces in the surrounding area at risk, away from China’s borders and is tailored to undermine every US military advantage from submarines to satellites. The US has long appreciated the vulnerability of their satellite assets, but have always adopted the position that if another nation chose to attack their satellites, they could easily inflict similar damage back themselves – a version of mutually assured destruction. Hardening satellites to circumvent laser attacks is possible, but would add additional weight, thereby reducing the reconnaissance payload. The response adopted by the US military is not known, but, given the Bush administration’s attitude to foreign policy, I imagine they have adopted a similar response themselves and have instructed that US lasers be directed at Chinese reconnaissance satellites as they overfly the United States. The Chinese must also know full well that, given their extensive US research into high powered lasers, if they wanted to the US have the capability to seriously damage or even destroy a Chinese satellite, so perhaps they are just ‘tweaking the tigers tail’ to see what response they get. Perhaps its no coincidence that the NRO have invested considerable money in a programme to develop a series of‘stealth’ satellites, known as ‘Misty’, that cannot be easily tracked in orbit. The first Misty satellite is believed to have been launched by the STS-36 space shuttle Atlantis mission on 28 Feb 1990 and de-orbited sometime after 1997. Although the satellite maneouvered a number of times whilst in orbit, it was tracked by various amateur observers in late 1990 until it appeared to vanish, aparently following an explosion. However, the same satellite was eventually re-discovered in 1996 and 1997 and it is believed that the 'explosion' was actually the satellite deliberately jettisioning operational debris to disguise its position. This stealth satellite is believed to be able to deploy an inflateable cover which deflects radar beams and makes it almost impossible for the vehicle to be tracked in orbit. 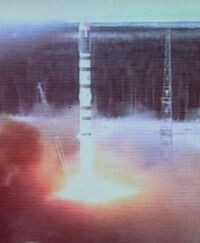 A second Misty satellite was launched on 22 May 1999 by a Titan 4B and is still in orbit, presumably overflying China with impunity. In addition, they have also developed and deployed the Counter Communications System (CCS), a land-based system that can jam an adversaries satellite communications system. Many in the right-wing Republican US administration will take a very dim view of China's provocative action. Over the last 20 years the USA have invested hugh sums in developing high powered lasers and has already deployed the most powerful lasers currently available, consequently, they can easily respond to any attack on US satellites by knocking out the satellites of the country involved. Furthermore, any aggressive action against US satellites will only encourage US efforts to develop even more effective countermeasures. I suspect this is just the Chinese leaderships way of 'testing the water' to see what response their action will generate. However, as many people believe that the West will eventually have to confront an expansionist, prosperous China, intent on finding more living space for it's huge population, I just wonder how this aggressive action by China will be reviewed in 30 years time. 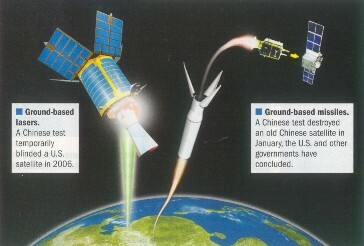 Not content with demonstrating their ability to interfere with overflying US spy satellites by firing a high powered laser at them in 2006, in early 2007 China decided to go one stage further by destroying a satellite with a ground launched missile - demonstrating an even more effective ASAT capability. On 11 Jan 07 China launched one of their KT-1 missiles from or near the Xichang Space Centre at one of their Feng Yun (FY-1C) polar orbit weather satellites that was launched in 1999 and had become redundant. The test was successful and the 0.88 ton FY-1C satellite was destroyed over 530nms above the earth. The KT-1 is a four stage missile and the fourth stage kill vehicle could well have been equipped with an onboard sensor and side thrust motors to enable it to adjust its trajectory as it homed in on the satellite. 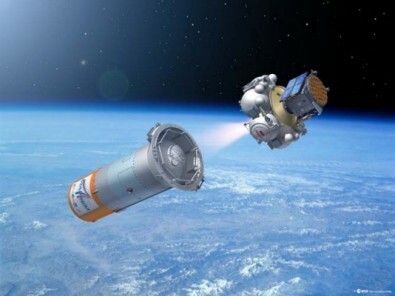 The interception was made head-on, suggesting that the fourth stage simply used kinetic energy to destroy the satellite, rather than an explosive warhead. US Intelligence reports suggested that there had been three previously unsuccessful attempts by China to achieve the destruction of a satellite in orbit prior to this test. After the KT-1 fourth stage slammed into and destroyed the FY-1C satellite it created a debris field of hundreds of small orbiting pieces that pose a severe risk to other satellite in low-earth orbit. As a result, the US, UK, South Korea, Japan and Australia all condemned the Chinese test as irresponsible and unnecessary. 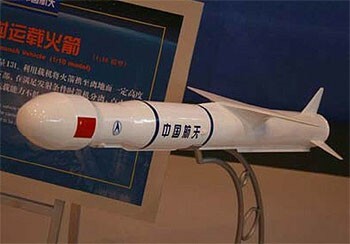 However, despite these protests China is unlikely to be deterred from developing other weapons to try and negate the huge advantage the US has in both space assets and systems to defend them against interference. Now that they have demonstrated their ASAT capability, there’s little to be gained by China continuing to fire lasers at overflying satellites or destroying their old ones with a ground launched missile. Instead it’s more likely that China will concentrate their efforts on trying to interfere with the ground based satellite links that control the craft in orbit and receive the intelligence data they collect by using high powered radio jammers. China has already started to probe the IT defences of the West with concentrated cyber attacks on both civilian and military networks and these attacks are only likely to increase in frequency and intensity. The creation of the US Air Force Cyber Command some years ago shows that the US has already prepared for this change in tactics and I imagine they are already engaged with their Chinese adversaries in this new 21st century battleground.